"Der Standpunkt der Aufnahme – Point of View" is a curated film program at cinema Arsenal (Berlin) dedicated to political film and video work. Filmmakers and video artists working in a variety of contexts are invited to present their work; films and videos that have emerged both from artistic and activist settings. The program challenges the notion of cinema as a place for critical reflection and invites the audience to take part in the discussion. What does it mean today to make films politically? Making a political expression means taking a position that potentially anyone could take. The title, “Der Standpunkt der Aufnahme”, refers to a position from the early years of video activism. In 1980, the "Videoladen Zürich" Collective videotaped the violent confrontations of the Zurich squat movement with the authorities. The outcome was the film Züri brännt (Zurich on fire) which is today considered a classic of video activism. In a text reflecting on their role of video makers in a public context the collective states: “Der Standpunkt einer Aufnahme ist bereits eine Stellungnahme zur Sache“ (Placing the camera means to have already taken a position on the cause). In other words, the camera doesn’t just determine a line of sight in such charged, precarious situations, but also takes a position towards what it is filming. Who or what you film and where you stand with the camera makes a difference. It does because the decision is a political one. There is something inalienable in this sort of language - something at odds with the “freedom of artistic expression“, which can be defended in equally strong terms. Solidary statement vs. artistic freedom? A circle that can’t be squared, or rather a space from which emerge new, interesting and resistant forms of making films and videos politically? "Der Standpunkt der Aufnahme" invites filmmakers, video artists and media activists to present and discuss their current work; the second part of each session is dedicated to a film from the repertoire of political cinema which the guest of the night has chosen as a "carte blanche" - because it inspired their work, or simply because they would like to see it back on screen. For the “carte blanche”, the artists can refer to the Arsenal's own film and video archive, comprising 8.000 titles and being itself a testimony to a partisan, passionate and collaborative history of cinema. Where do we stand today in this history? The carte blanche film screenings are intended to throw light on the various alliances, elective affinities, provocateurs and favourite adversaries who influence political film and video work; re-visiting them is meant to show that it is worthwhile continuing a critical tradition. "Der Standpunkt der Aufnahme - Point of View" began as a nine week season in the fall of 2010. The following artists were part of this program: Joanne Richardson, Charles Heller, Elke Marhöfer, Sarah Vanagt, bankleer (Karin Kasböck and Christoph Leitner), Brigitta Kuster, Raphaël Cuomo and Maria Iorio, Bärbel Schönafinger (kanalB) as well as Merle Kröger and Philip Scheffner (pong). From March 2012, "Der Standpunkt der Aufnahme" is continued as a regular program slot at cinema Arsenal. Again video artists and film makers are invited to present new works, pairing them once again with a "carte blanche" choice from the Arsenal archive. The program will feature participants of the fall 2010 season with new works, but the list of participants will also gradually expand; as an open and informal format, "Der Standpunkt der Aufnahme" intends to provide a casual frame for artists and filmmakers working in Berlin to discuss works in progress. A book has been published in which the artists and filmmakers involved in the project return to and expand on the themes and discussions addressed by the film program. "Der Standpunkt der Aufnahme - Point of View" is conceived as reading matter; as a book which is not aspiring to fully or objectively cover its field of concern, but whose subjective contents, as much as they feed from specific work contexts, invariably raise and tackle questions which all politically concerned film and video work needs to address. 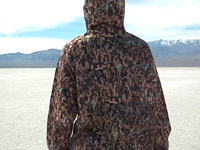 Such questions, about the integrity of one's work, about the interaction between the camera and those filmed, about the relation between image and language, about positioning one's own production in the force-field of a largely globalized media landscape, are what suggests that there is a "political" dimension to this work in the first place. And it is the point of view, one's own position, "der Standpunkt der Aufnahme", the position of the camera as much as the history one is coming from, which such questions are concerned with. "Der Standpunkt der Aufnahme – Point of View" is curated by Tobias Hering together with the participants. The project has many supporters who are credited here.